Laura Kelly Photography Blog :: Ottawa Wedding and Engagement Photographer: ask away...! Somewhere between the day I started my business and now, I've picked up a couple things. I've learned what not to do, but more importantly...I've learned by doing. I often get emails from people who follow my blog and have questions about how to start a business, or how to teach yourself to shoot manually, and I figured it could be helpful to dedicate a blog post to these questions, since there might be more of you out there wondering the same thing. I've opened up my comments section to allow for anonymous comments, just in case you don't want to post your name, site, or other info. Your questions can be about anything, from business, to blogging, to taxes (I'll ask Beans for you), to what Weezy is currently up to. 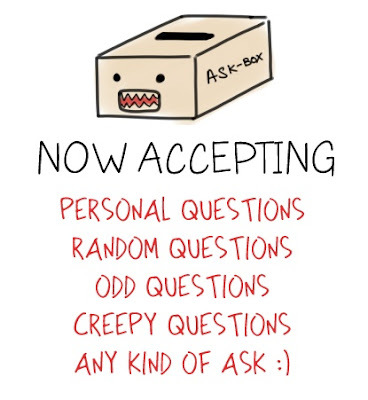 So by all means...ask away! I'll put them together in a way that is useful and share the answers on my blog when I get back from my vacation next week! what is Weezy currently up to? When you post photos on here and on Facebook, how do you get them in a collage format like that, with multiple images in one photo? Is that done using photoshop? I'm a new photographer and I'm trying to figure out how to engage readers on my blog, but I'm not sure I really want to start sharing personal information about my own life in order to come up with more things to blog about. What's a good ratio of photography related posts and personal posts? Do you miss your day job? PS. I suppose I do have a question as well, how is your own wedding planning going? Would you turn down a bride and groom if you were worried about the bride turning into a bridezilla? When are we going to see another baking post? You're always so creative with your cookies and cupcakes! Nonsense. I am a nameless baking/photography enthusiast. What lens do you shoot with most? And why? what was the pivotal shoot that made you say...yes i can do this as a full time job? what is the hardest things about your job...what do you like the least ? off to the kelly cabin! jessica + dan | expecting!